Beetle Juice! Beetle Juice! Beetle Juice! No, we are not talking about the well known 1980s movie…We are talking about the awful crunch and squish you get in between your toes when you find yourself stepping on a beetle in Minneapolis, MN! EEKK! If you live in Minneapolis, MN and have a beetle problem, it’s time to call a pest exterminator. It’s time to call Eco Tech! Eco Tech handles bug control services using organic pest control methods. We deliver timely services so that your home can remain free of Beetle Juice! Beetles aren’t just a menace to look at, they can cause a major problem in your home too! 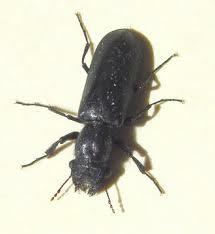 Most beetle species can reproduce at a rapid rate, causing a quickly arising infestation problem! It is hard to know which species cause the most trouble since there are a large amount of different species in the Minneapolis, MN area. Therefore, correct bug control services and treatments are hard to do if you are not a professional pest exterminator! At Eco Tech, we have experience in identifying the species and providing the most effective and safe treatment! We offer organic pest control methods to ensure the safety of other living creatures, like your family and pets! Once we receive a call, one of our highly trained pest exterminators will come out and inspect your home for beetles or any other pests and bugs. Once we identify the pest, we determine where they are coming from, how to stop it, and the most effective course of treatment that will eliminate the problem! We offer both organic pest control methods and traditional methods. We give affordable quotes with no hidden charges so that you know exactly how much it will cost! Once the job is done, we offer preventative measures and back ourselves with a four-year warranty! So don’t let yourself turn into the 1980s Beetle Juice movie…Quit crunching bugs in your home and get the problem fixed! If you live in Minneapolis, MN, call Eco Tech today at 763.785.1414 for all of your pest exterminator needs!